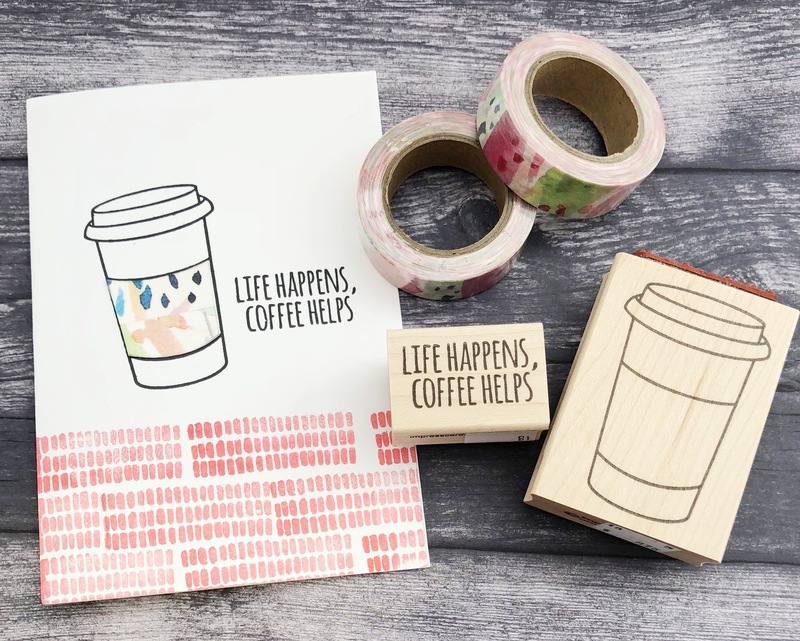 Impress has a new release of wood stamps! We love when we have new images to design with. The floral images are designed by Nina Painter. We're loving her style. Check out the new images. 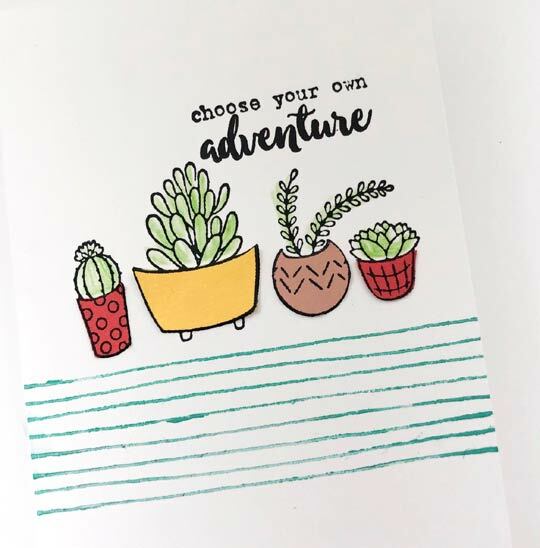 We used the succulent shelf image for this card. Stamp it on a white note card using our favorite really black pad called nocturne. It's the blackest pad out there and you'll love the coverage too. It's a Versafine Clair ink pad. These pads bring out the finest details. Watercolor the succulents with your favorite paints. Stamp the lines in Flora and Fauna's texture set 4 to make the lines on the bottom of the card using Fresh ink aloe. To make the fun bright colored pots for the succulents, stamp the same image on colored card stock and then cut out each pot with your detail scissors. It's important to use a detail scissors as the fine blades makes it much easier to cut closely to the lines. Once cut out, glue the pots over the appropriate pots on your card. Choose your own adventure is a new Impress word stamp. We think it's a great sentiment for anyone about to embark on a new adventure! This entry was posted in Trend Alerts on April 18, 2019 by Impress. This entry was posted in Trend Alerts on April 11, 2019 by Impress. 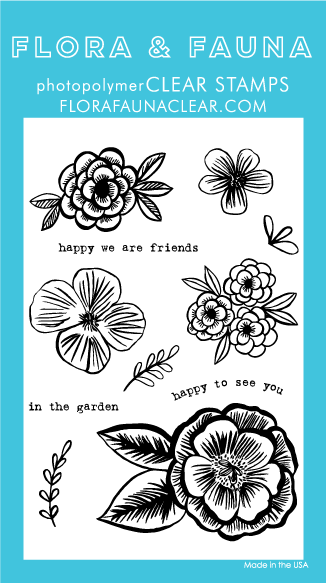 Create beautiful and unique floral cards with just one clear stamp set! How fun. 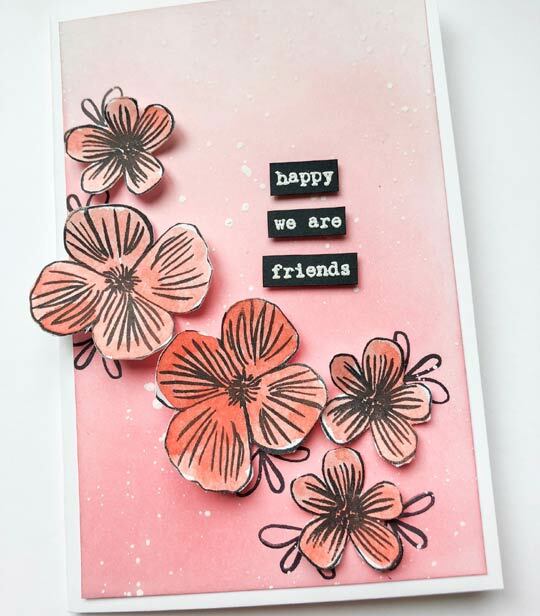 To make cards like this you simply need Flora and Fauna's clear set called Brush Petal and your favorite colors of Fresh Ink. 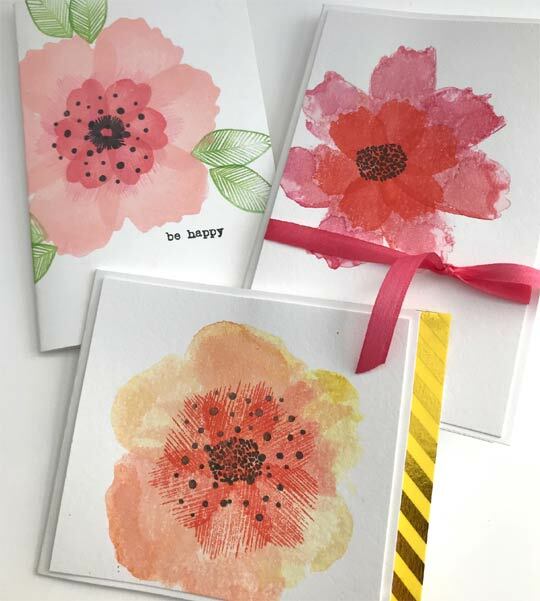 Some of the Fresh ink colors used for these cards were blush, sugar, pink lemonade and persimmon. Start by stamping the larger petals first, then add petals on top. On two of the cards we applied watercolor paint directly to the stamp and then stamped it on the card stock. Can you tell which cards? We loved the different look and interest it created. Have fun creating a garden of your own! Thanks for checking out our project of the week. This entry was posted in Trend Alerts on March 14, 2019 by Impress. We're loving Flora and Fauna's new release. This is one of our favorite sets. We're ready for spring! We're in love with Flora and Fauna's new pencil set. .We started this project by creating a colorful background using Ranger's Distress Oxide Inks. Have you tried the new blending brushes? They're amazing to work with. We splattered the background with white ink using a splatter brush. The white ink really pops just like the words that are embossed with white embossing powder. We didn't want a white outline around our flowers like you get when you diecut so we cut them out with a detail scissors, a must have if you want to cut fine detail. We then watercolored the flowers using the same ink. 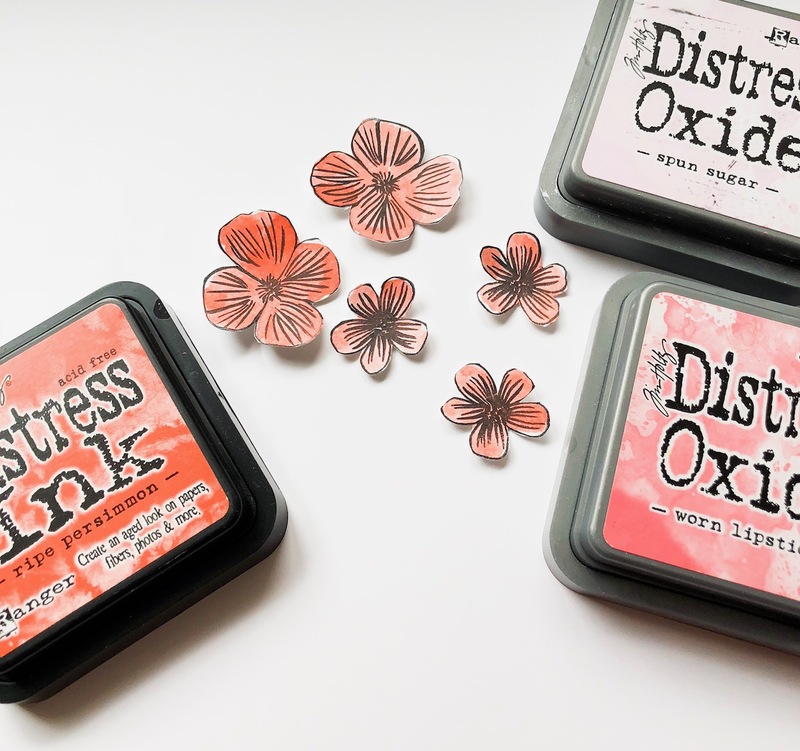 Watercoloring with Distress Inks gives you a more traditional watercolor effect. 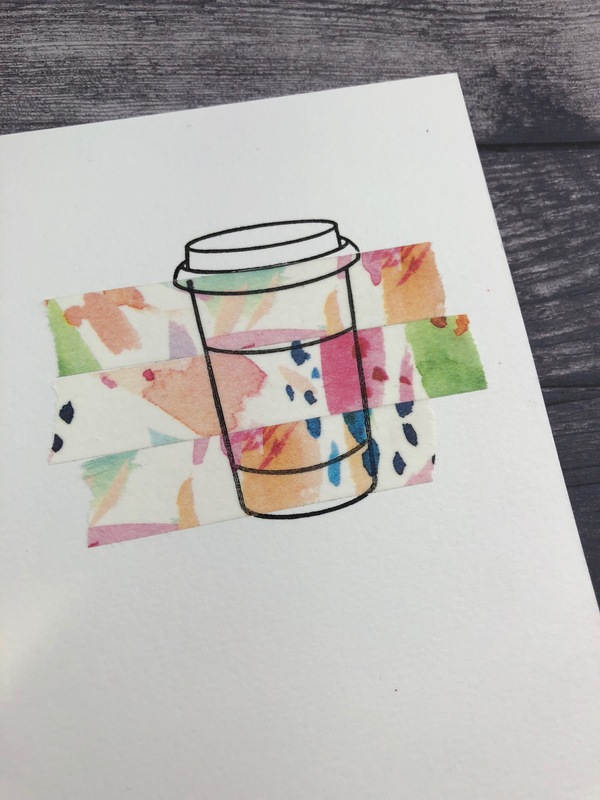 Do this by daubing a bit of distress ink on a surface like freezer paper and then use your waterbrush to pick up the color and paint. This entry was posted in Trend Alerts on March 7, 2019 by Impress. 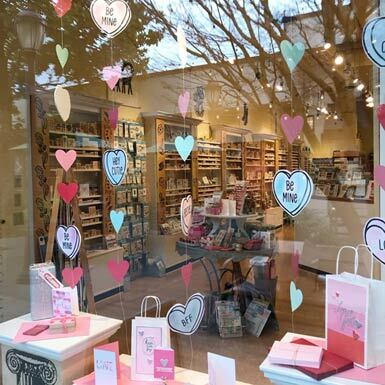 After 20 creative years, we’re sad to announce that we’re closing our University Village store as our lease is up. The changing nature of retail shopping makes our space there too small for the events and classes we like to offer. Our final day will be Saturday, February 23rd. We want to thank all of you who have shopped with us at that location, many of you all 20 of those years! 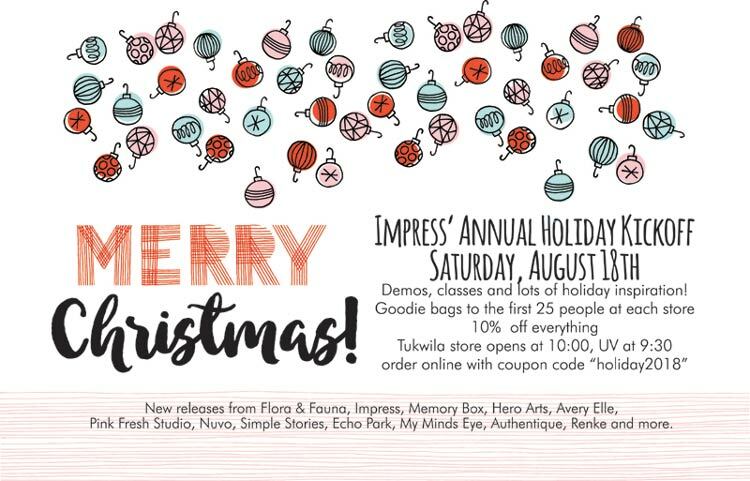 The good news is we’re still open at our Tukwila store, still have a website and have lots of fun events and classes planned for 2019 so hopefully we’ll still get to see each other. We’re planning a party at UV for Saturday the 23rd. Please stop by and say hi to our amazing UV staff and share a memory or two with us. We’ll have a special discount for you and treats! This entry was posted in Trend Alerts on February 6, 2019 by Impress. Hello! 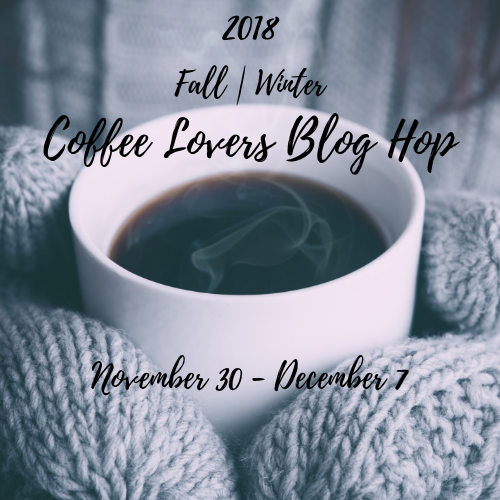 Thanks for visiting us today and joining in on the blog hop fun! Don't forget to leave a comment for your chance to win! 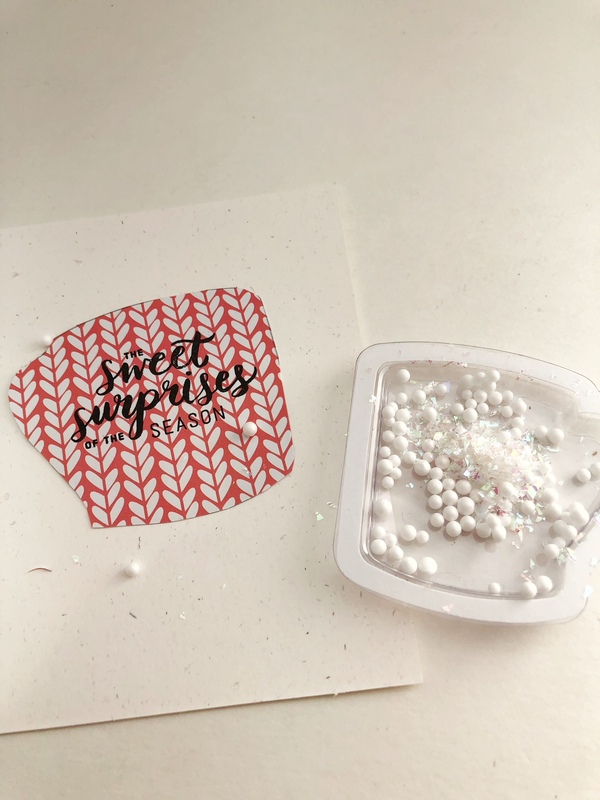 Today we did a fun shaker card that has almost all of the pieces pre-made so this will be the easiest shaker card you've ever made! 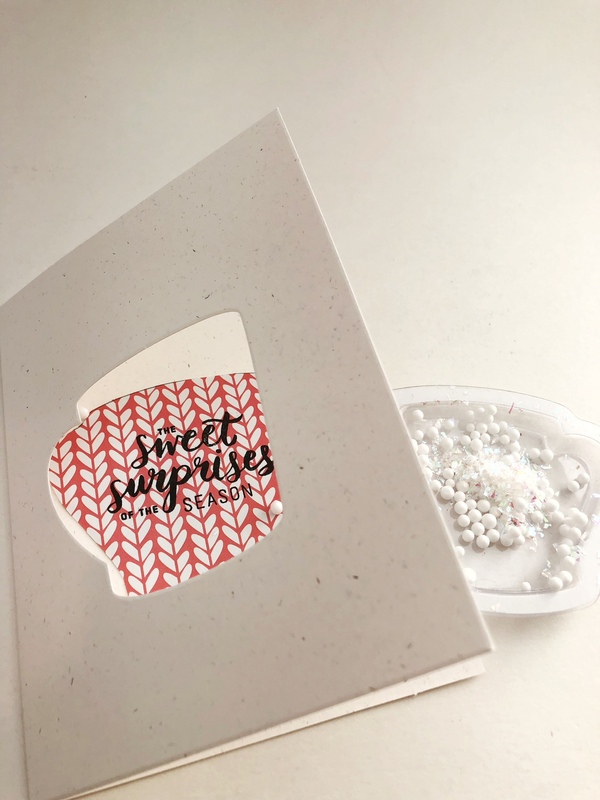 These kits have note cards, the plastic for the shaker and the sequins along with a stamp set and die cuts to create a variety of cards. How appropriate to make a coffee shaker card for this hop! But you'll have to check out all of the different sets that they have. There's an ugly sweater set that is pretty cute! Here is the finished card! 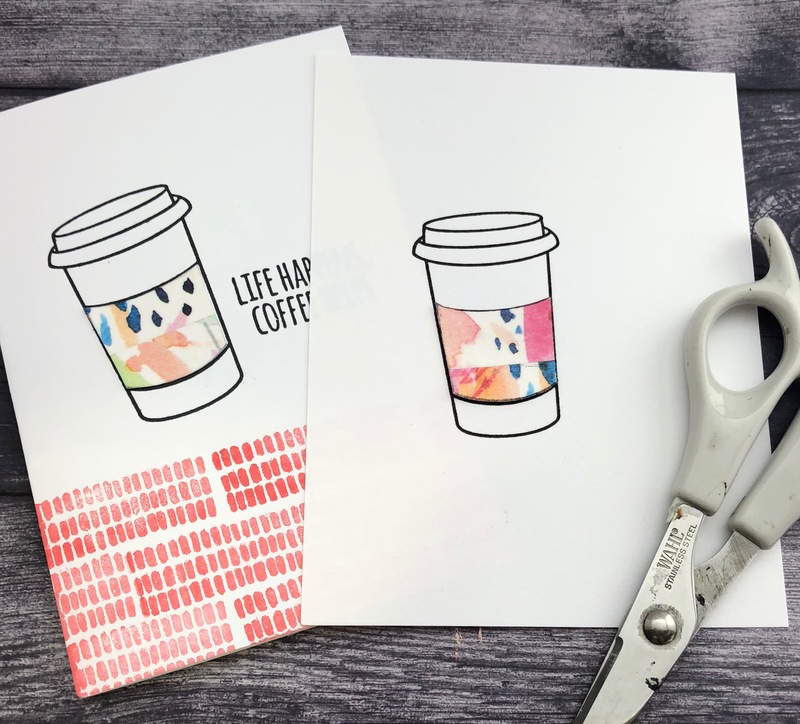 But here are the steps to create this coffee card. 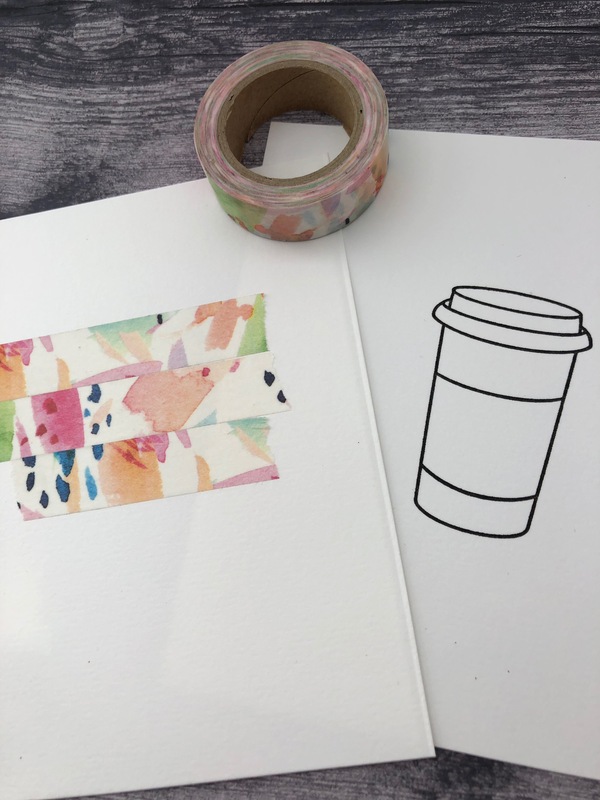 Since I used a printed paper for the backdrop, you'll want to trace the plastic shaker piece onto the printed paper and hand cut it out. Glue that to the inside of the card and place it where the cut out on the front will match when it's closed. 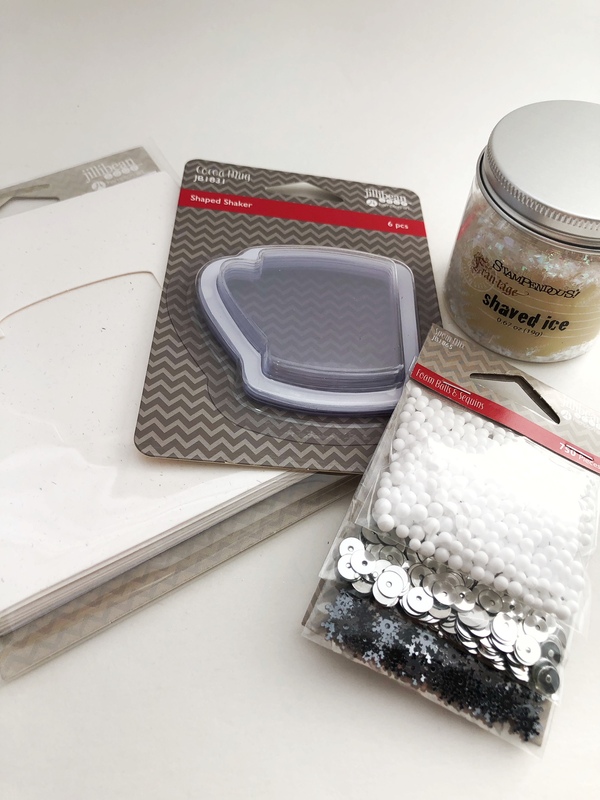 Fill in the plastic shaker piece and it already has adhesive tape around the edges so all you have to do is remove paper and place down onto the card. This is a better picture showing the front of the card that is already pre-cut. You will glue the plastic shaker piece to the back of the card. 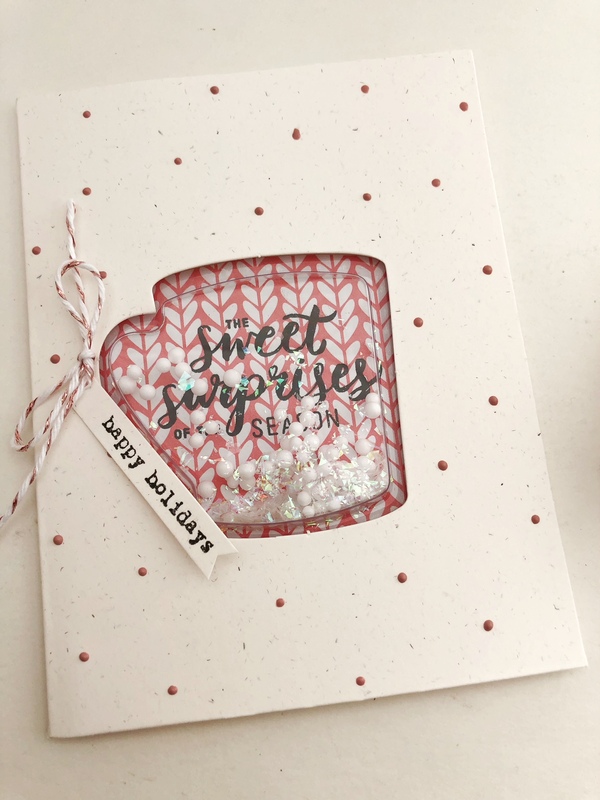 Add a little ribbon to the handle and then we added dots for the background of the card. The NUVO Vintage Drops are NEW so we wanted to try them out. There's about 8 new colors and they dry MATTE instead of glossy. They take a little longer to dry but the colors are gorgeous. This entry was posted in Trend Alerts on November 29, 2018 by Impress. Annual Holiday Kickoff this Saturday! This entry was posted in Trend Alerts on August 14, 2018 by Impress. This entry was posted in Trend Alerts on May 24, 2018 by Impress. Look who's coming to Impress! We're so excited, Kelly Klapstein, the author of "the Art of Brush Lettering is coming to Impress to teach. Check out her instagram @kellycreates and you'll see why you won't want to miss this class! 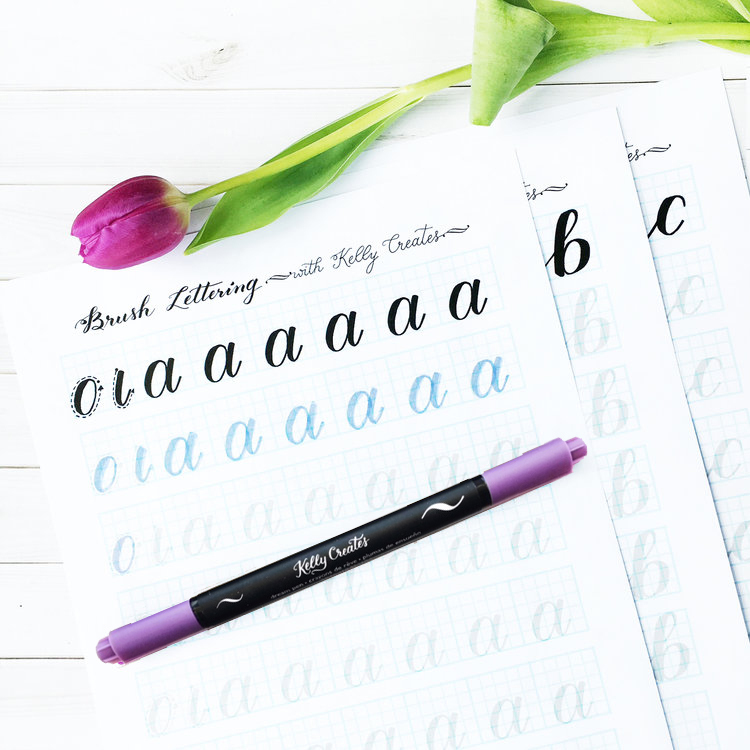 Beginner Brush Lettering with Kelly Creates! Breathe. Write. Relax. Learn calligraphy with detailed, guided instruction from Kelly Klapstein, well-known author, teacher and Instagrammer. If you haven’t joined @kellycreates 615,000+ followers on Instagram then you’re missing out! In this workshop, Kelly will introduce you to brush pen techniques used to write the lowercase alphabet. 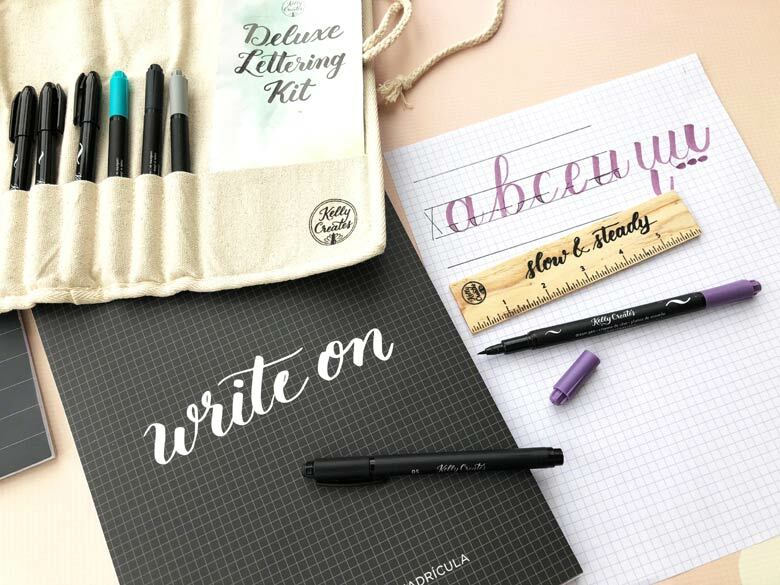 Stroke by stroke, you will enjoy the peaceful and beautiful art of brush lettering with Kelly’s workbooks and pens. This is an introductory class for those new to brush pen calligraphy. No experience is necessary. Deluxe Lettering Kit in roll up canvas perfect for lettering on the go and keeping your supplies organized which includes ruler, pencil, retractable eraser, 2 black fineliners, 3 small black brush pens, 3 large brush pens and an instructional pamphlet. Kelly Klapstein, the author of The Art of Brush Lettering, is a calligrapher, artist and teacher who travels the world sharing her love of letters. Her brand of Kelly Creates hand lettering products are manufactured by American Crafts and help people of all ages learn calligraphy. Kelly lives in northern Canada with her family and dog Finn, where she drinks tea, writes pretty letters and paints with watercolor. This entry was posted in Trend Alerts on May 14, 2018 by Impress. 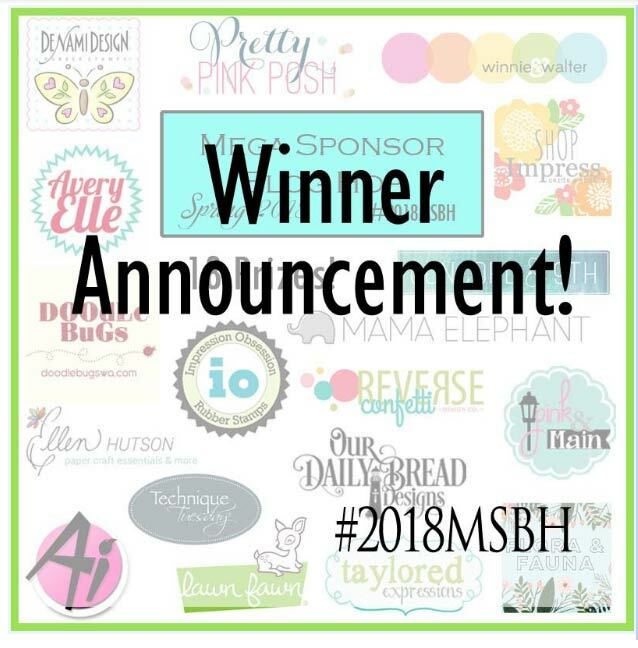 We are excited to announce the Impress winner of the 2018 Mega Sponsor Spring Blog Hop. We are so happy you joined in on the fun. The winner of an Impress $25. gift certificate is Denise Ward. 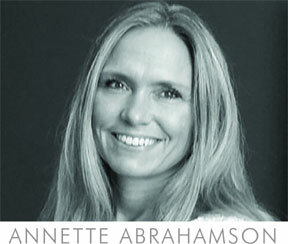 Contact us Denise and we'll send you your prize! Congratulations Denise. 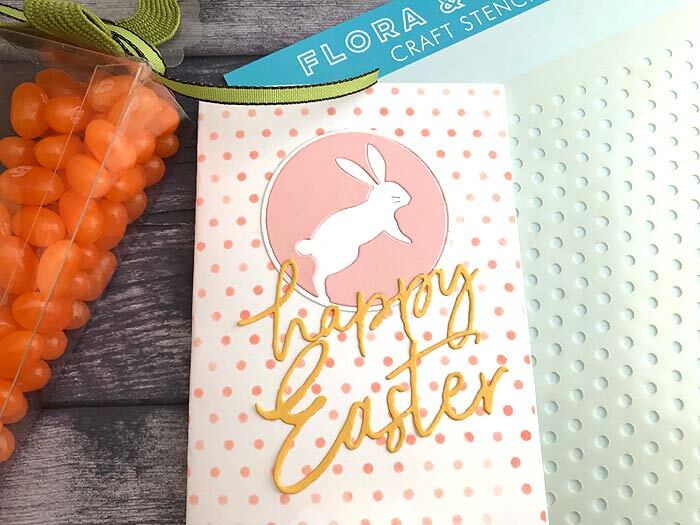 We hope you enjoyed the spring blog hop! This entry was posted in Trend Alerts on May 10, 2018 by Impress.